Here are eight of my favorite keyboard shortcuts in Visual Studio. There’s a good chance at least one of them will be new to you. This keyboard shortcut is new in Visual Studio 2013. If you put the cursor on a line of code and use the Alt+Up Arrow keys, the line of code you’ve selected moves up. If you use the Alt+Down Arrow keys, the line of code selected moves down. Chances are you’ve noticed the “+” and “-” symbols in the margins that let you collapse and expand your classes and functions. Did you know you can create your own collapsible regions? If you select a section of code and then use the key sequence Ctrl+M+H, you turn that region into a collapsible/expandable region. The key sequence Ctrl+M+U will remove the collapsible region. It doesn’t delete the code, it just removes the icon that lets you expand and collapse. Whether it’s because you’re trying to track down a “but,” or experimenting with code change, from time to time you’ll want to comment and uncomment blocks of code. If you select a block of code and use the key sequence Ctrl+K+C, you’ll comment out the section of code. Ctrl+K+U will uncomment the code. When you’re going through your code and you want to examine the code in the method you’re calling, many programmers will use the F12 key or the pop-up menu option Go To Definition. Go To Definition will navigate to the called method; however, many times you don’t need to navigate to the code. Sometimes, you just want a quick look at the method. If you’ve installed Visual Studio 2013, there’s a new keyboard shortcut — Alt+F12 — that will give you a preview of the method being called inline. You can use the Esc key to close the preview. When you have multiple files open at the same time, you might want a way to quickly move back and forth between two or three different locations in your code. If you’ve moved from one location to another you can use the keyboard sequence <Ctrl>+– to move to the previous location and then you can return using Ctrl+Shift+–. Switches from the design view to the code view in the editor. Switches from the code view to the design view in the editor. Recently I came across a unique combination: an Android Tablet/DVD player combo by Curtis/Sylvania . DVDs nowadays are practically obsolete and that the ones I previously purchased from Walmart are gathering dust. I therefore saw this as a way to watch DVDs that aren’t available on Netflix, or anywhere else for that matter. In addition, when it comes to road trips this would be handy since we don’t utilize Wifi to stream shows and it would give enable my kids to watch videos while on the road. Intrigued, I purchased a copy since the price seemed right at $118 CAD. It’s a practical device that does what I need it to do. In addition to playing DVDs via an app on the device, it also allows for streaming via a Netflix app or an SD card (though no microSD). Audio works great. I was able to increase the volume enough to hear what I wanted. At 8 GB storage, there aren’t too many apps that can be installed. An SD card can address that but don’t install too many apps on it with data pointing to the SD card. From experience, a) the core App files still remain on the tablet, and b) when Google Play issues an update to an app, sometimes the app data goes back to the tablet (instead of the SD card). The tablet is meant to play DVDs and videos moreso than being used for other purposes. As long as you’re aware of this you will be fine. Screen quality also isn’t the greatest. At 800×480 resolution there is some pixilation. However, for the price of a budget tablet screen quality is expected to suffer. Battery life is a bummer. The DVD specs state that operation time is 2 hours fully charged and indeed, watching two DVDs back-to-back brought the tablet from 100% charge to 5%. This is worth noting when taking it “on the road” to make sure it stays charged during the way. Connecting it to a multi-USB car charger (see below) should address that . Warranty is only 90 days, as is in all budget brands. Overall, what amazes me is that other manufacturers have not made a similar product. 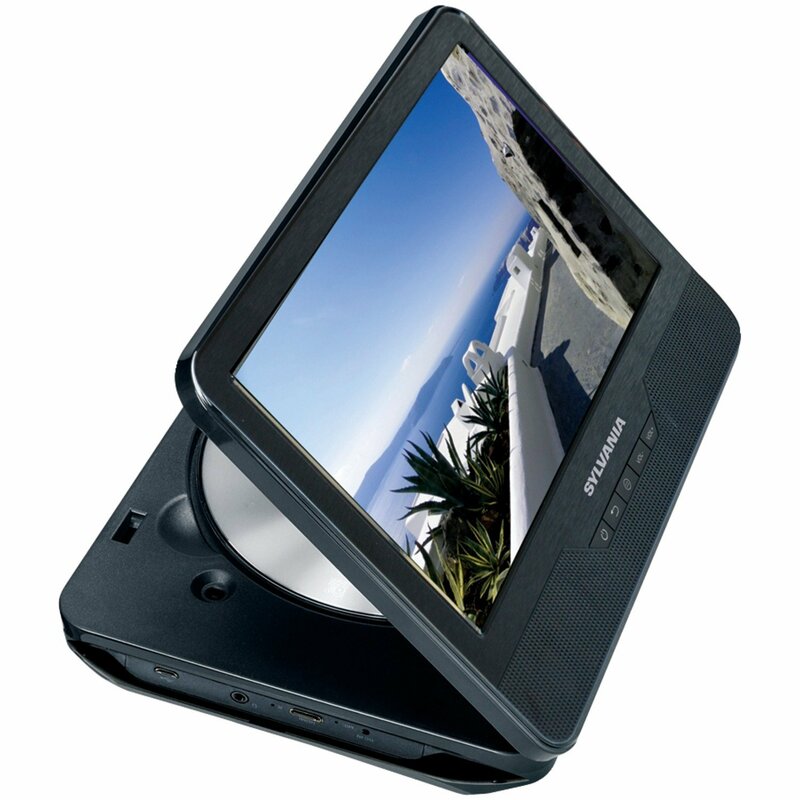 Samsung released a DVD player that connects to a tablet, but that’s not the same. For what you pay, you are getting a solid product. Without a doubt, the OnePlus One has taken over the world by storm. Based out of China, OnePlus devised an affordable, budget-friendly alternative to pricier smartphones, such as the iPhone, Samsung Galaxy and recently the Nexus, which doubled in price once the Nexus 6 came out. Even with its upcoming price increase it’s still competitively priced considering you are getting the phone unlocked. One massive complaint the phone had was in the camera quality: it produces photos that are too grainy, especially in low lighting. Looking into it, I realized that the issue must be software-related since OnePlus took the camera hardware from Sony, making the hardware component top-rate. Why are there two different apps? Because, when you upgrade to CM12, Panorama crashes the CM11 version of the app. Why the links? Because the apps were fan-modded by pro developers and aren’t available on Google Play. I still prefer this app over to what’s commercially available at the Play store. Honorable mention goes to Google Camera, though my issue with it is in the video where it seems to auto-focus in and out. My issue with the stock recorder was that it would only record a message for a minute, then stop once the phone went to sleep. Titanium Recorder continues playing after the phone sleeps, and produces excellent audio quality. I personally find the stock Messaging app to freeze and crash too often. Apparently it cannot process/handle the contacts and messages. Enter GoSMS Pro. It’s free, gives a choice of six colors, and works amazingly well. One issue with OnePlus, which also goes for all Android devices, is battery management. Battery management especially became an issue once the Cyanogen Mod 12 (CM12) came out. BatteryGuru saves some of that juice. I personally use Contacts+ to import my contacts from GMail, Facebook, and iCloud. To backup your contacts into a CSV file, SuperBackup does the trick. The Apps are available on Google Play. To communicate with other users with video for free across Wifi, there’s still nothing better out there. I’m referring to Starbucks and Second Cup. When you need a coffee and are in a bind without your card, you simply add your card number to an account that you tie in with an app on your phone. It simplifies the process greatly. In today’s and age of the internet, it appears that everyone needs a strong online presence. Lawyers especially need that extra “oomph” when marketing themselves to clients, but not every lawyer shockingly has the financial means to afford a full-fledged website, which can easily run into the thousands of dollars depending on the desired features. Not only that, but building a website can take weeks, if not months, to build. Enter “Build a Law Site.” Build a Law Site allows a lawyer to have a professionally built website built within 24 hours, utilizing the popular, easy-to-use WordPress Content Management System (CMS). Build a Law Site offers a competitive package: starting at only $49 a month, a small-to-medium size lawyer (or a fresh out of school law student) can have his/her own professional, mobile-responsive website, which includes web hosting, for a mere fraction of the cost it would cost elsewhere. In short, it’s an amazing deal. So, if you’re a lawyer looking for the best budget-friendly website money can buy, look no further. Sign up and build a law site today!